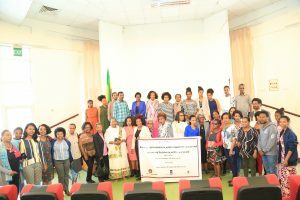 Center for Human Rights of the AAU held a panel discussion on “Women’s Political Participation and their roles” on the occasion of the celebration of International Women’s Day on March 15, 2019 at Eshetu Chole Hall. Dr. Wondmagegn Tadesse, Head, Center for Human Rights, warmly welcomed the attendees and expressed the importance of the panel discussion. In his statement Dr Wondmagegn noted that the discussion is emphatically to nourish and celebrate the revolutions achieved to realize women’s equality and on the reverse to search remedies for unsettled problems faced with women. “Now days there are lots of good trends in creating vast opportunities for women in higher governmental position in our country. But numerous problems were also occurred in women and children like migration and violence of rights. Center for Human Rights of the AAU strives to solve these problems in collaboration with different organization,” Said Dr. Wondmagegn. Matebie Tarekegn, Director of Women, Children and Youth Affairs Directorate of AAU said that, the International Women’s Day is celebrated every year in our country to commemorate the struggles committed to eradicate the oppression and violation of women right. 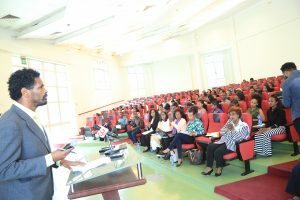 In addition to this, it is a crucial event to foster the women’s participation in economic, social and political issues of the country and keeping advantageous equally. Tracing on this event, said Matebie, the office celebrates the day by organizing different panel discussions on pertinent and selected issues and initiating women to present problem solving research findings to benefit the university community specially women. 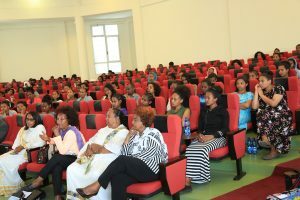 On the event, Panelists including Ambassador Dr. Genet Zewdie, Founder and Director General of Women’s Strategic Development Center and Ms. Aregash Adane, Former Secretary of Tigray Regional State and Social Affairs Advisor of the Prime Minister presented their assessment on Women’s political participation and role in Ethiopia. On the assessment several challenges were raised pertaining women’s leadership. Among others attitude of the society, institutional constraints, cultural factors and lack of confidence and thrust on women. 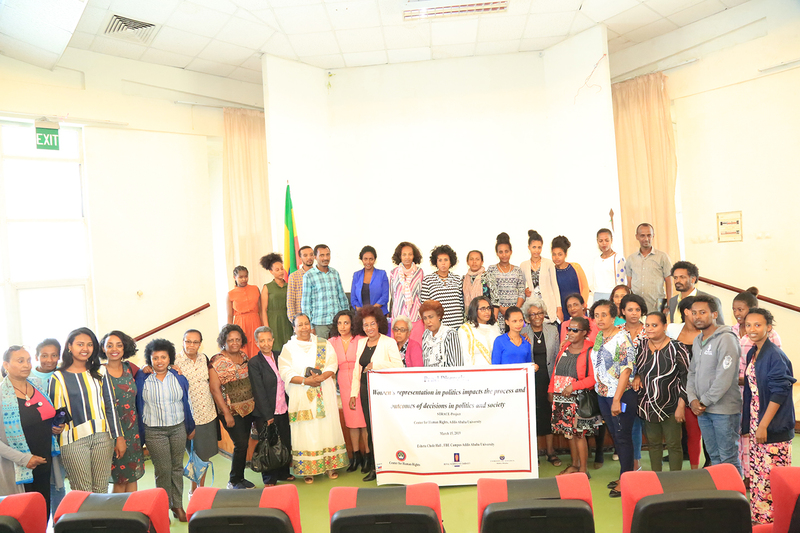 International Women’s Day celebrated for 108 times internationally and for 43 times in Ethiopia.